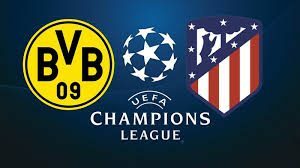 We are taking our attention to the Signal Iduna Park in Dortmund, where Borussia Dortmund welcomes Atletico Madrid in a very interesting game from Group A of the Champions League. Let’s take a look. These two teams are leading the group with a perfect record of 6 points won so far. Borussia Dortmund are currently a leader in the group, because the German team have a better goal difference than the Spaniards. Dortmund kicked off their CL campaign with a 1-0 win against Club Brugge, which was followed by a 3-0 win against Monaco at home. Atletico Madrid are motivated to be flawless this time in the group stage, after their fiasco in the previous season. Maybe you remember that last season Atletico didn’t qualify for the 1/8-finals of the competition, finishing 3rd in their group. Yes – they won Europa League after this, but the dissapointment of their CL campaign was pretty big. Now Cholo Simeone and his players are ready to prove that this was a fluke and they are much better than this. These two teams are in a good form right now. Borussia Dortmund are leading the standings in the Bundesliga, while Atletico Madrid are also moving well in La Liga. That’s why we shall expect some thrilling football and maybe some goals in Dortmund when they meet on Wednesday night. In their last game Borussia Dortmund enjoyed a terrific 4-0 win against Stuttgart away from home. Jadon Sancho, Marco Reus, Paco Alcacer and Maximillian Philipp scored the goals for Lucien Favre’s team. Atletico on the other hand lost two points in their last game, doing a 1-1 draw against Villarreal. Filipe Luis opened the score for the Rojiblancos, but Mario Gaspar equalized for the Yellow Submarine. This is our look at the Champions League clash between Borussia Dortmund and Atletico Madrid. Good luck!